This is Smitty. People call him Smitty, but his real name is Richard. He doesn’t like to be called a shoe-cobbler. 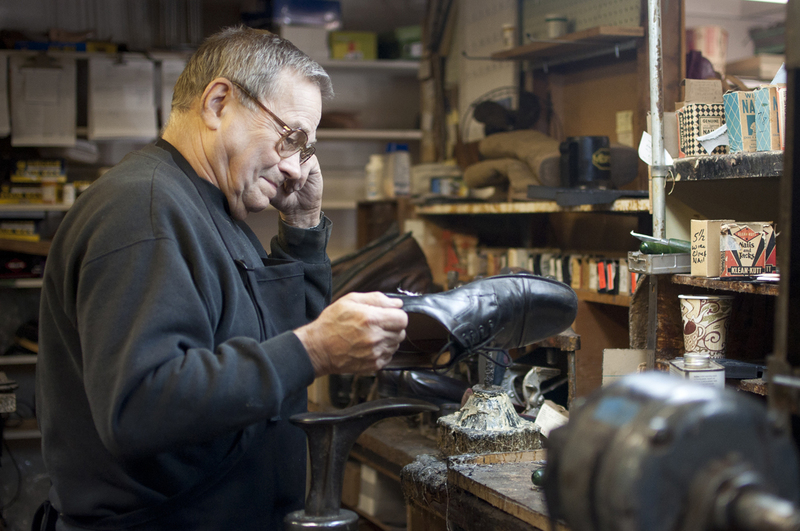 In his 80-year-old workshop, he tells me that he rebuilds the shoes. He doesn’t just patch them up and call it good. Dusty machines, a glue container with years of dried-up glue on the sides, old-fashioned tickets to mark the shoes, his workshop is amazing. It also has very good lights. I paid him a visit after finishing the video about him to show it to him. It really made my day when he told me how much he loves it.